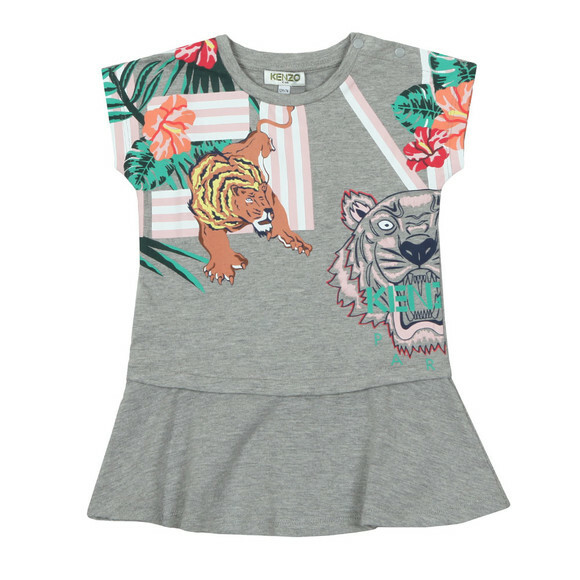 Kenzo Baby Felice Hawai Kenzo Dress in Grey. 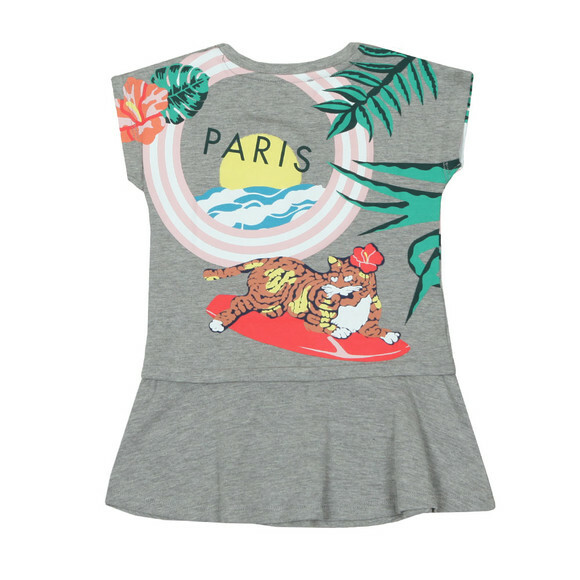 A t-shirt dress with a press stud open shoulder for easier on and off. 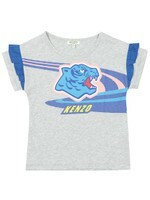 Printed with a mixed and colourful design of flowers and animals and Kenzo branding mixed in.